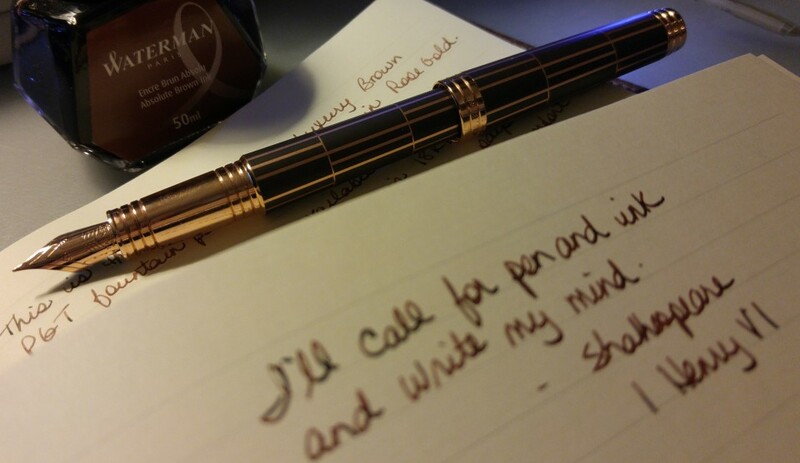 I’ve been using my Delta Journal and loving it, but finding it SO difficult to not post it. I am a poster but the cap on this one is a very tight fit when posted so I really don’t want to damage the resin. I will keep trying. I will announce the pen for January on December 30. Purchases: I’m gearing up for my post on my second visit to Scotsdale Pen and Knife, so that will probably go up on Sunday. 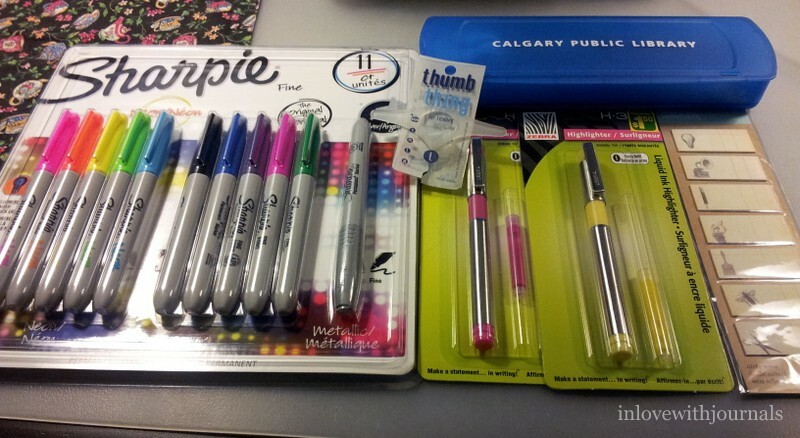 But this week I happened to be in Staples and I bought a Franklin Covey fountain pen. I will review that one soon too. 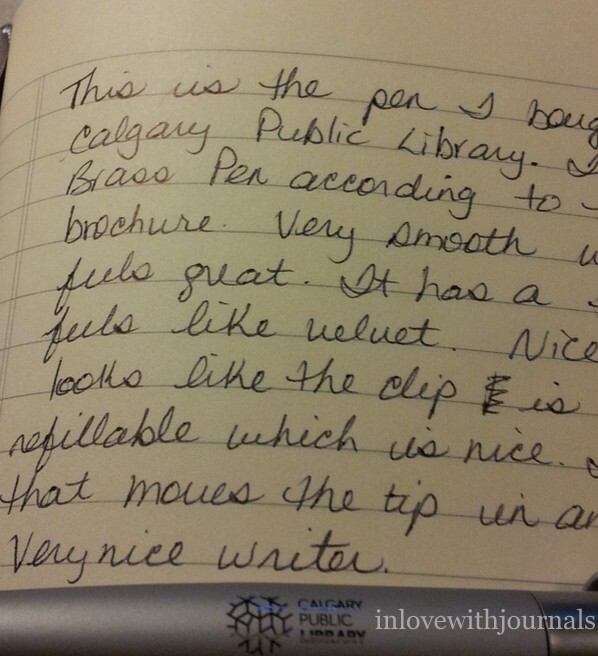 More on the pen below. Black Friday has come and gone for another year. I stayed away from all malls and stores but I did spend a bit on Amazon. I bought quite a few Christmas presents but yes some things for myself as well. Stephen King’s book, The Bazaar of Bad Dreams, was on sale for $10 in hardcover so I grabbed one. And I finally pulled the trigger on The Artist’s Way book and workbook by Julia Cameron, as they were in a sale bundle for $30. And then a few things for the house….Yes I may have been slightly carried away by it all, especially the lightning deals in which you had only 10 minutes to check out or it would be lost forever. I’m such a sucker for things like that. I had to forcibly close the browser and do something distracting. Craziness! We are consolidating floors at work and next Friday we have to be all packed up for a move over the weekend. Only one floor but there is a lot to do. Big changes and some people are losing their minds. Change is not popular! I like my new area but it is very different. Change is good for the soul so bring it on! 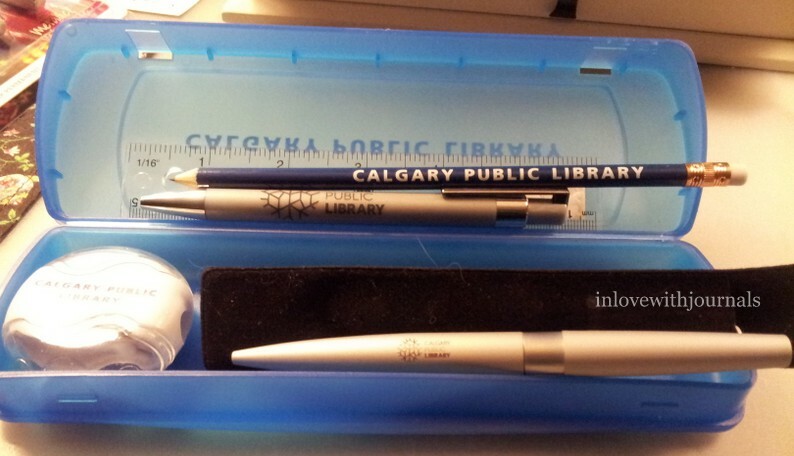 As I mentioned above I bought a black and silver Franklin Covey pen at Staples. Christmas is the only time Staples has nice pens. My local one had two fountains: the Franklin Covey and the Cross Aventura. 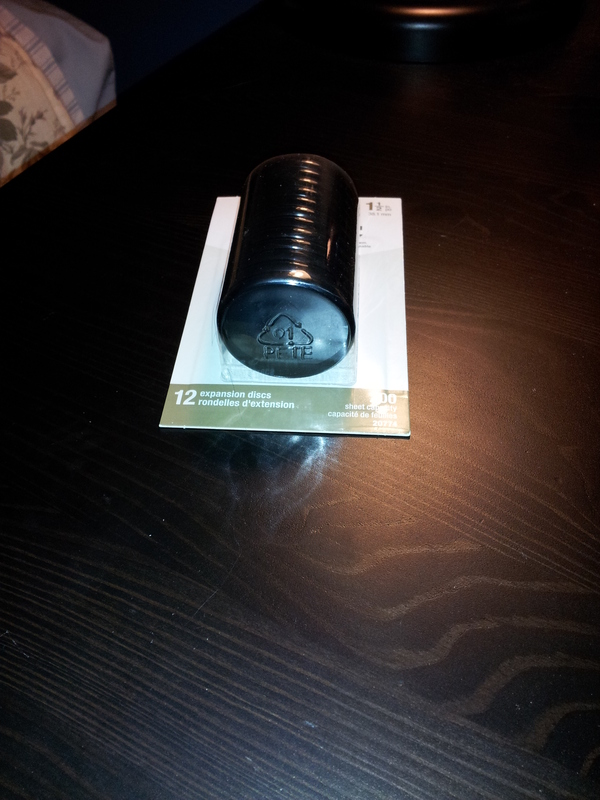 The Franklin Covey was on sale for $19.99 so I bought one. The Aventura was $44 so I passed. A surprisingly good writer. Review to come. I finally watched the film Wild with Reese Witherspoon. I much preferred Jennifer Aniston’s Cake. I thought Aniston’s performance drastically outshone Witherspoon’s. I had forgotten that one of the reasons she goes on the long hike is to come to terms with her mother’s death. I had a hard time watching it. It’s been 15 years since my mother passed but those feelings never really go away, they just get easier to handle. The scenery is amazing though. And the Blu Ray I got out of the library had a little booklet with a message from Cheryl Strayed, the author of the book the movie is based on. It was like a liner note from a CD. Very cool. But I didn’t like the movie all that much. 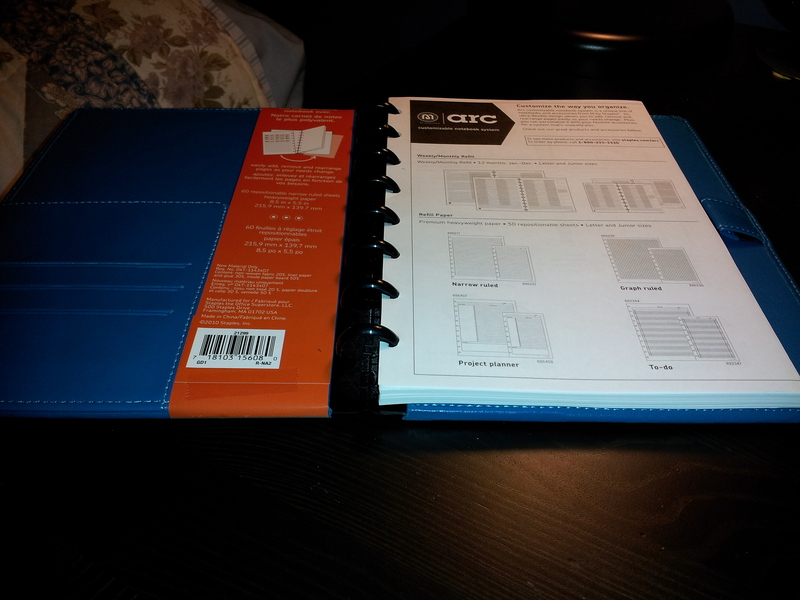 So I was in Staples the other day and found a huge display of Arc customizable notebooks. Check out the US webpage; they have a much better web ad than the Canadian Staples site. 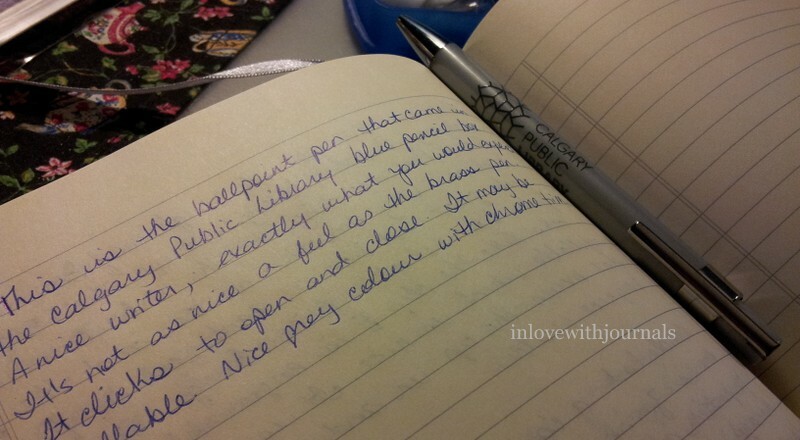 I was intrigued by the colors and quality of the notebooks. 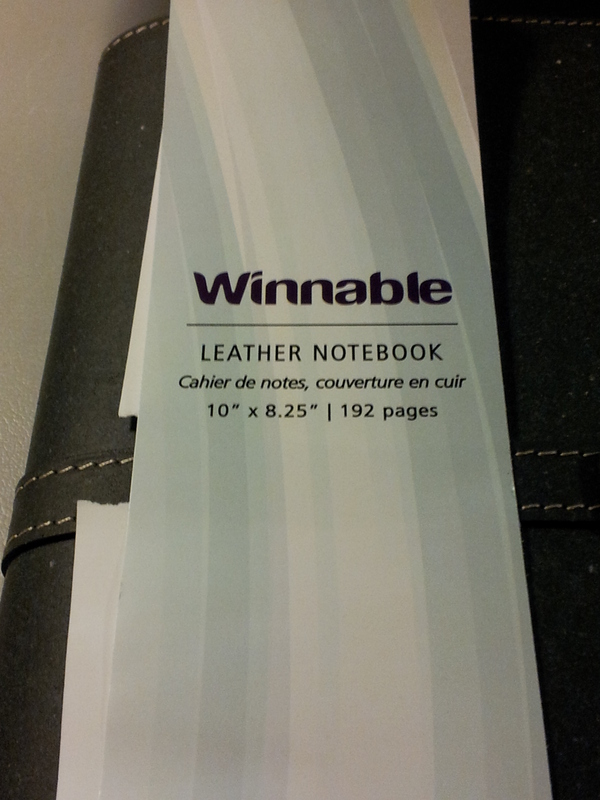 And I was blown away by the price: the most expensive is $21.99 Cdn, an 8.5 x 11″ leather notebook. The system works on a disc system, much like Circa by Levenger, but at a lower price point. 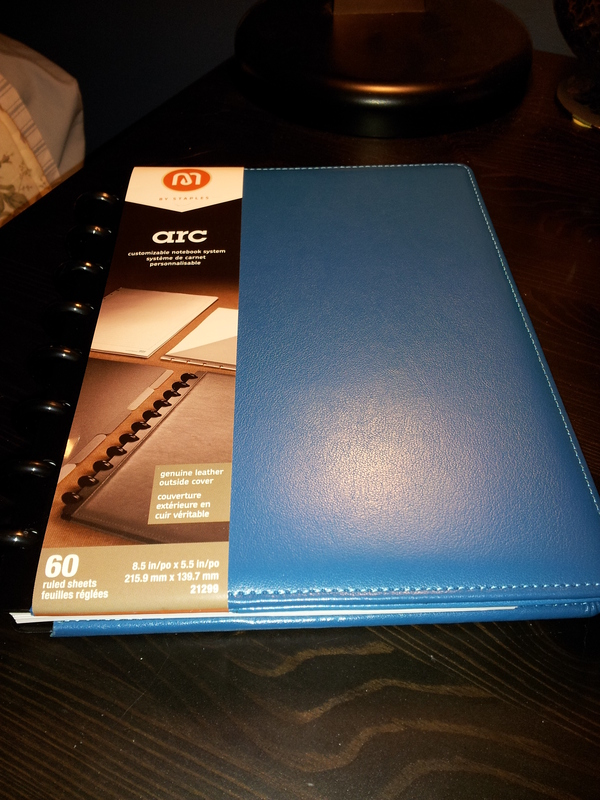 I chose a blue leather notebook, sized 5.5 x 8.5, known as the “Junior” size. 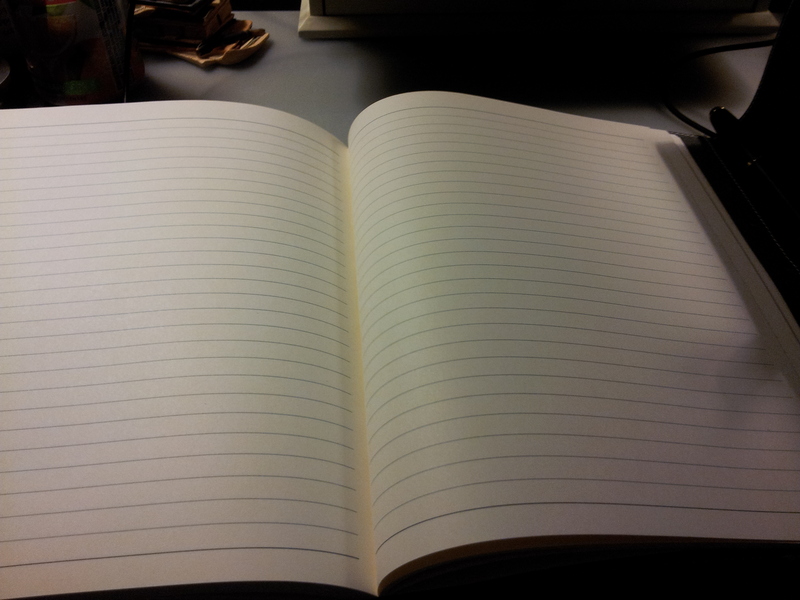 Each notebook comes with 60 sheets of ruled paper. The Junior size notebooks are $14.99. 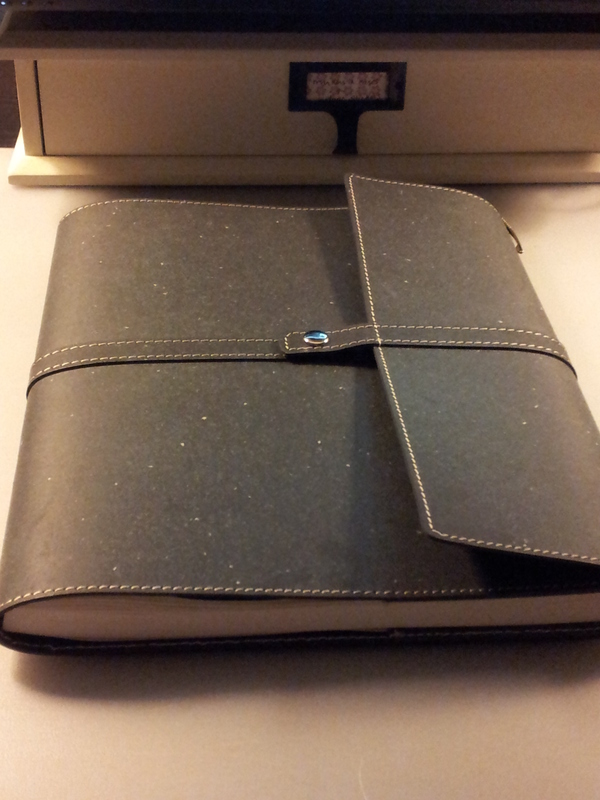 Here we have the back of the notebook with a pen loop. The loop is leather not elastic. 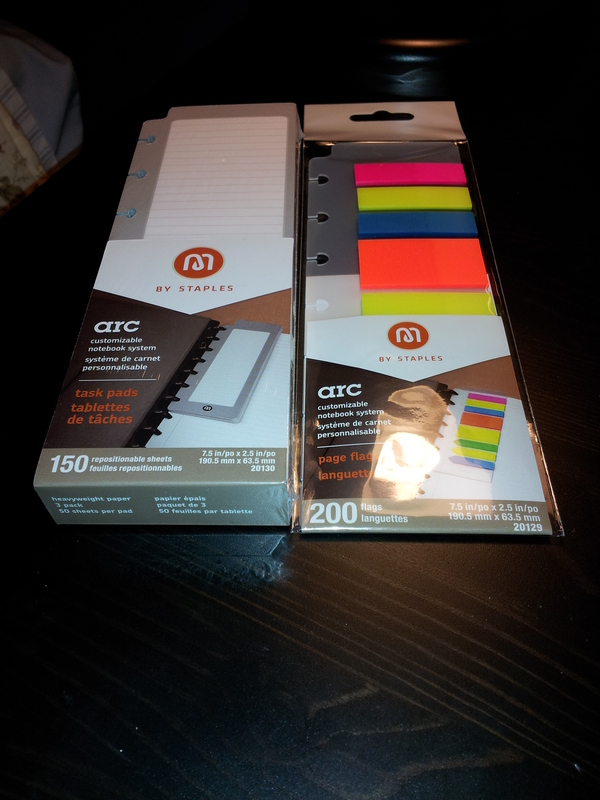 All the supplies I bought with my notebook. This is the really great thing about this system – all the accessories are inexpensive. 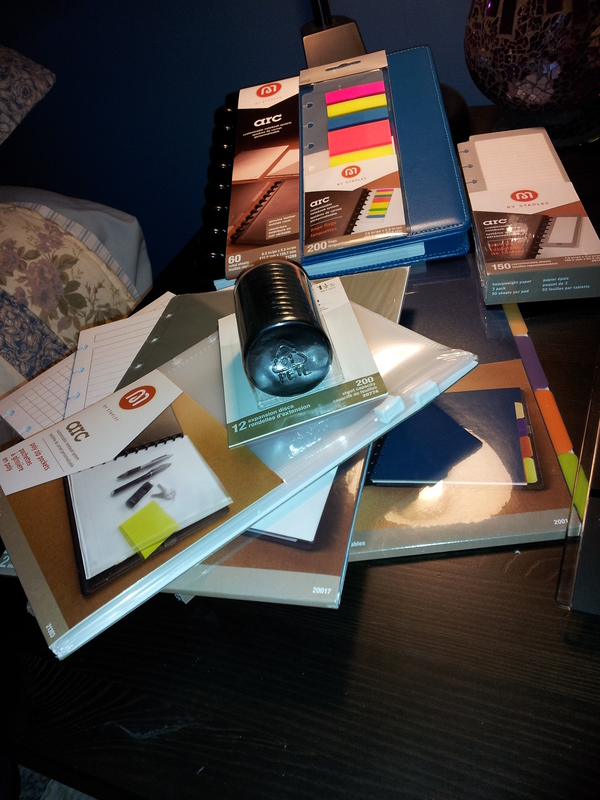 I think everything in the picture cost less than $30 (and the notebook was half of that so there you go). See the complete Canadian range here. Starting from the top left I bought a package of poly zip pockets. There are two per package. 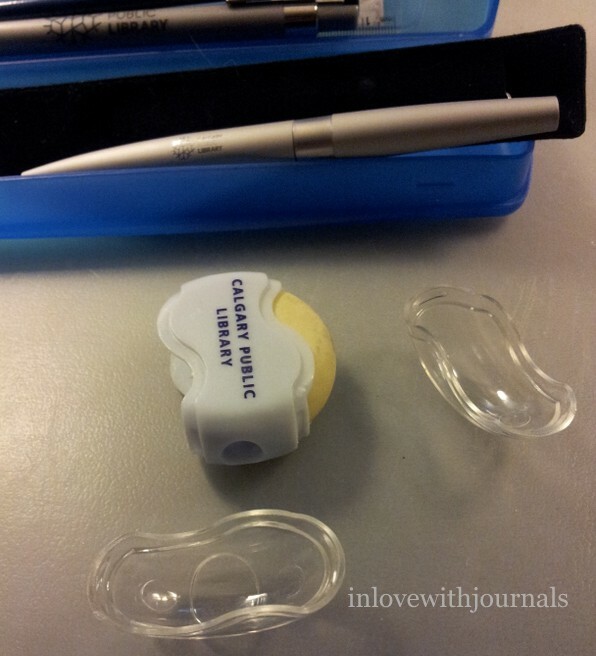 Great ziploc kind of pouch for carrying stuff in your notebook. Next on the top right is a package of poly tab dividers. 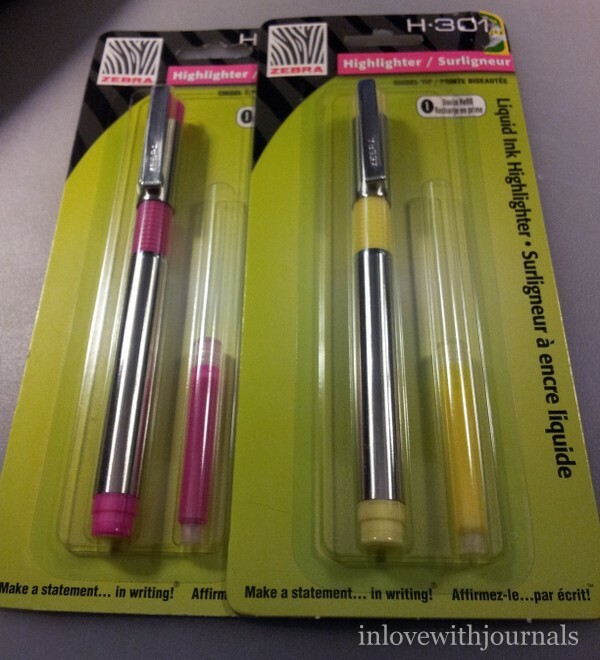 There are 5 in each package, in bright colours. You can also buy these in all black. And finally a package of poly pocket dividers, which also come in a pack of two. The super neat thing about these pocket dividers is they have pockets on both sides, so you get two pockets for each divider. 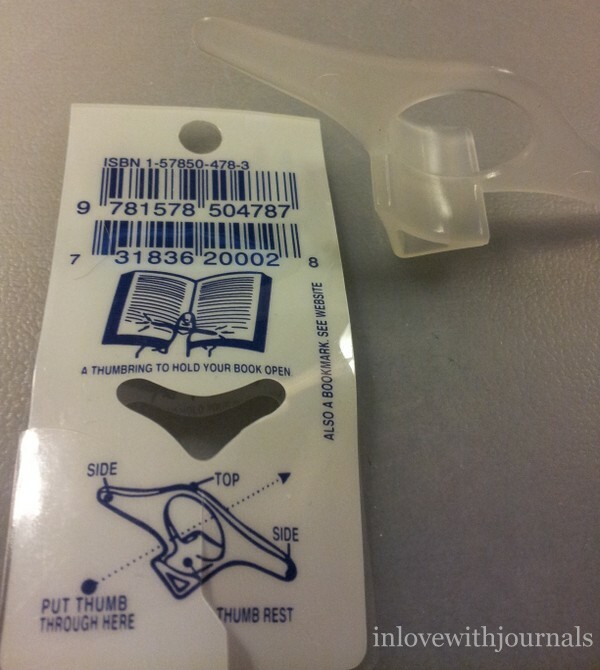 First time I have seen a pocket insert like this. This is a set of expansion discs or rings, in the 1.5 inch size (the notebook came with 1 inch discs). 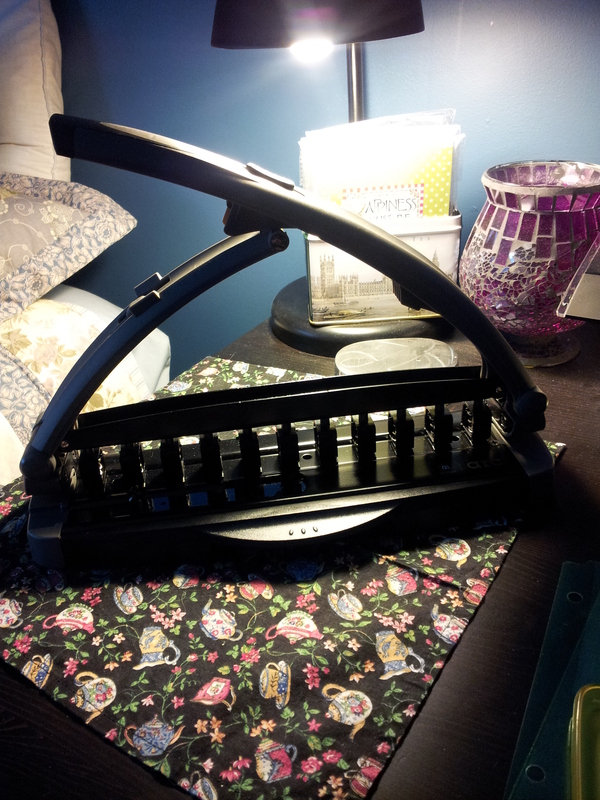 I thought this would be perfect to hold my extra supplies, and it works perfectly. 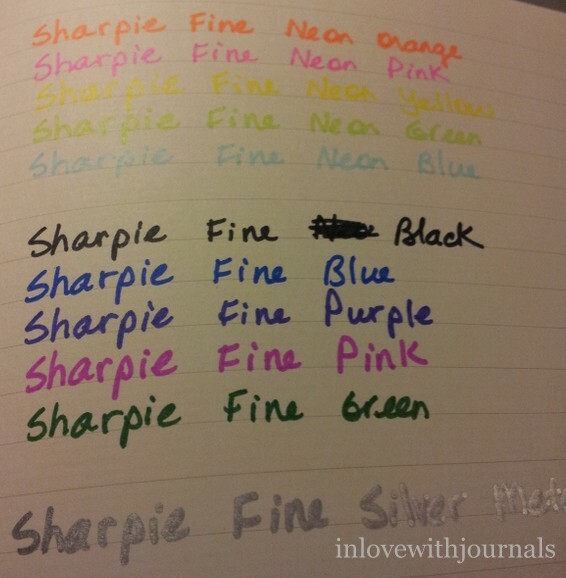 These are just under $2 each so you can make your own notebooks/journals very easily. 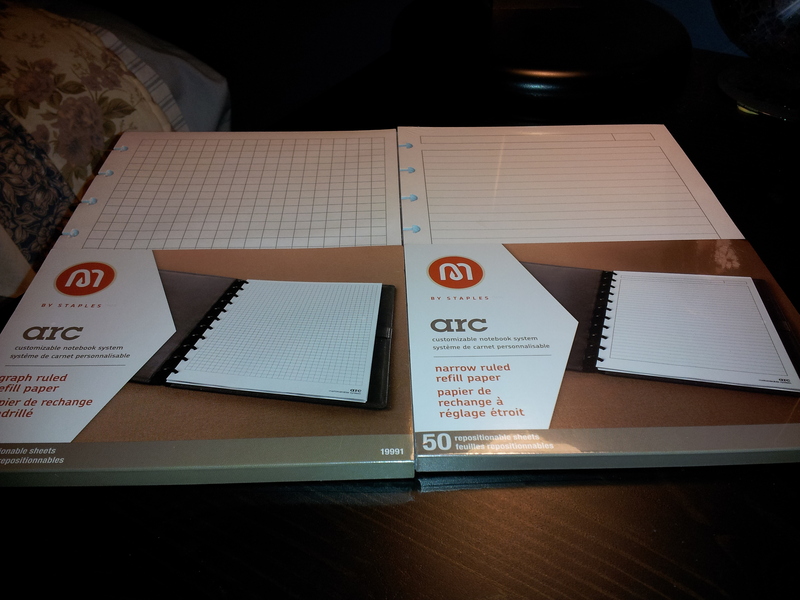 On the left is a package of ruled graph paper, and narrow ruled lined paper on the right. 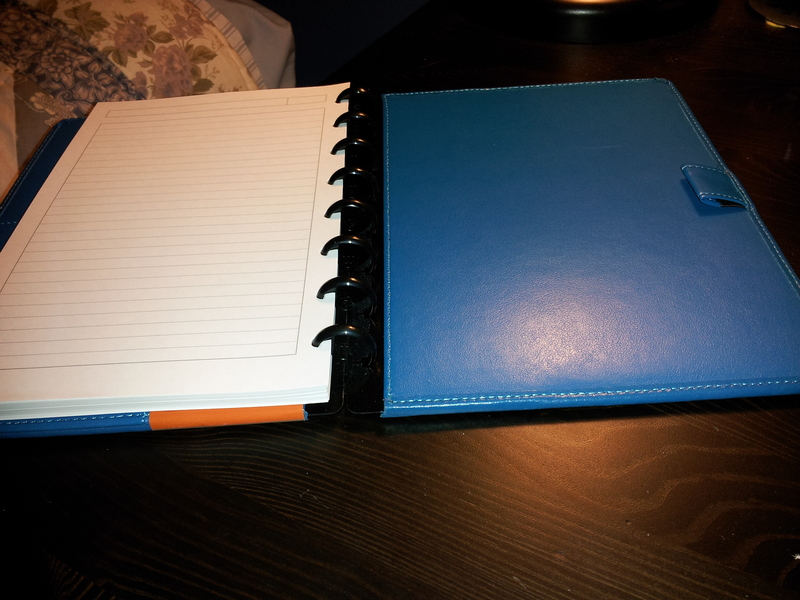 The tasks pads (shown above on the left) are neat in that they lie flat against your page but also have a lip at the top so you can easily flip to them when you open the notebook. I use them for To Do lists. And the page flags are great when you need a flag at your fingertips. But this clever machine makes the Arc system so fun and interesting to work with. 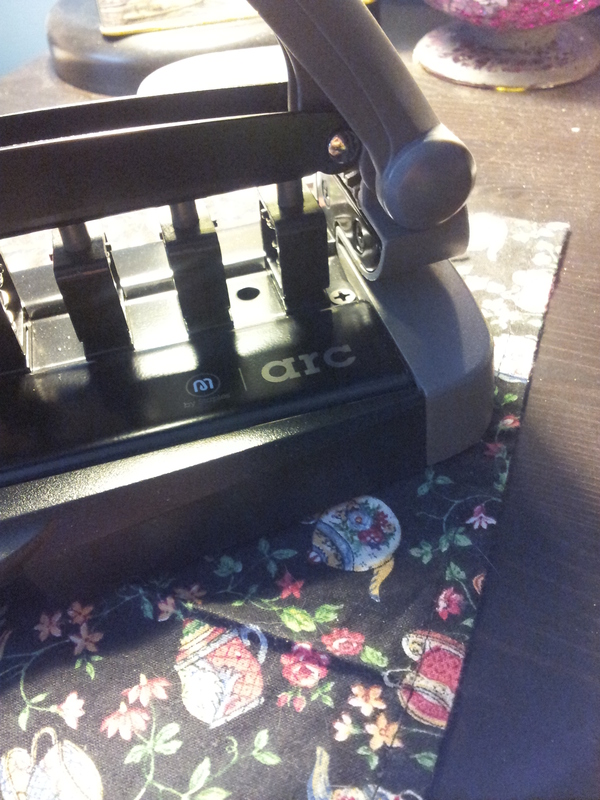 This is a Desktop Punch, with an 8 sheet capacity, for making your own inserts for the Arc notebooks. 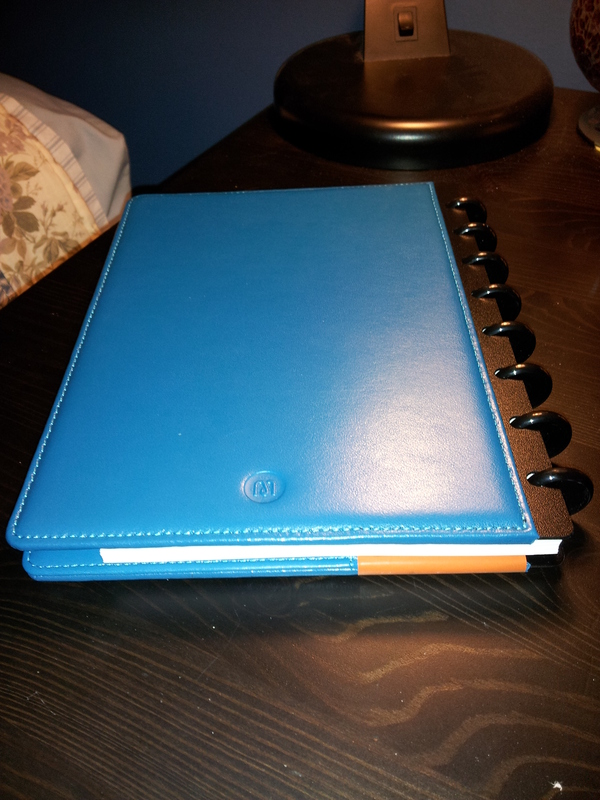 The silver guides on the bottom allow you to choose the size of notebook you are punching for, and you simply slide your sheet in and press the handle down, much like any other hole punch. There is a drawer in the bottom that catches all the punched material. It is very easy to remove and empty. I had an interesting experience with the punch. I didn’t buy it the same day as I bought all the other stuff pictured above, simply because I didn’t like the price in the store: $39.99. I thought that was too much for the ability to make my own inserts. But then I went home and looked at the range online. And the punch was advertised for $25. I phoned Staples customer service and they confirmed the price. So I ordered it online. I mentioned the discrepancy between the store and the online price, and the mistake was fixed a couple of weeks later. I am so happy with the punch, and even more so that I got it for such a great price! 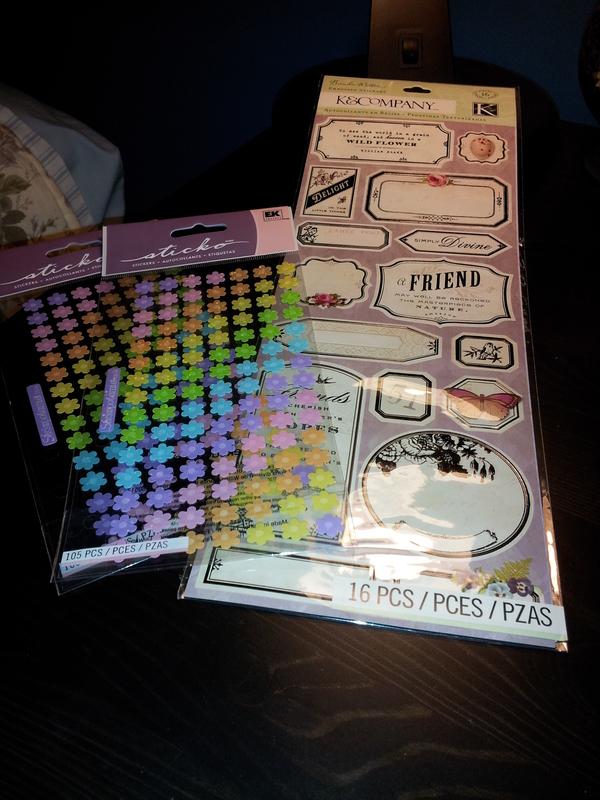 I couldn’t resist showing you the stickers I bought at Michael’s (right next door to Staples) during the same shopping trip. I love anything by K&Company. 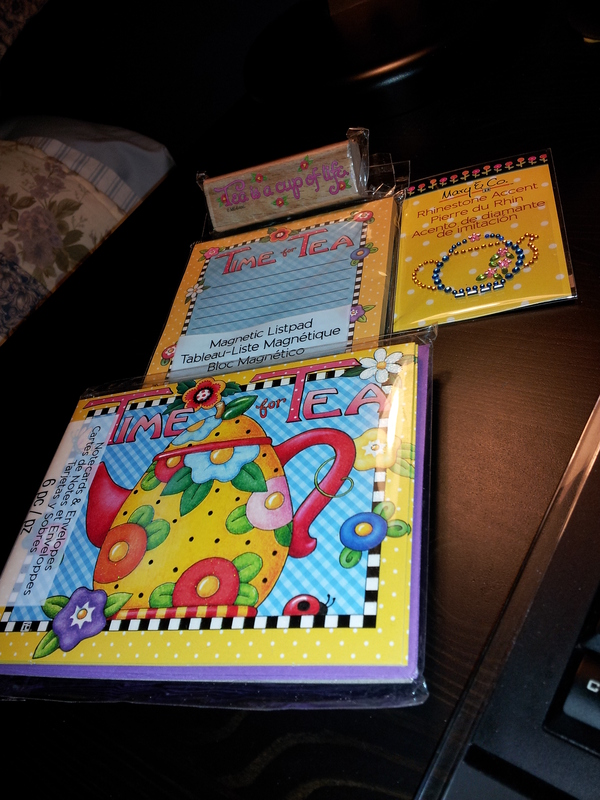 I also love anything to do with tea and I struck gold this trip with tea items. Obviously Mary Engelbreit loves tea as much as I do! 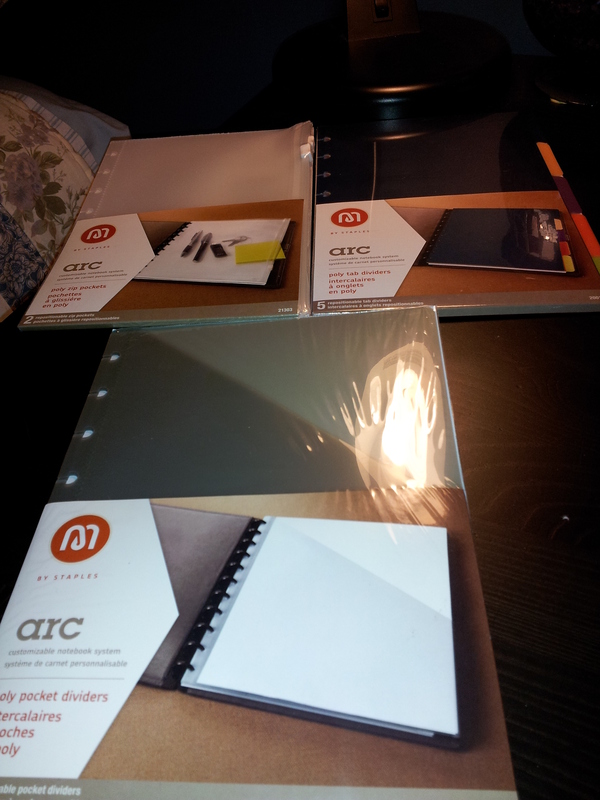 But back to the Arc notebooks. 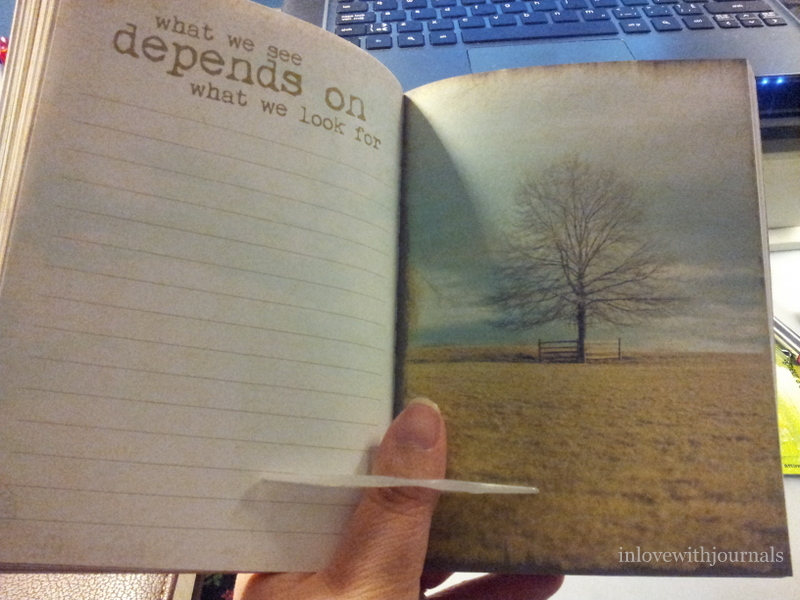 If you are looking for an inexpensive notebook that is super customizable and usable look no further. And you can always drool on the Levenger site and purchase items that will fit your Arc discs. Arc. And her printouts are fantastic, especially for those inserts that are not available in Canada. Now prepare to drool: http://www.levenger.com/ Wonderful site for notebooks but also any kind of leather good you can think of. I’m currently loving the Tahoe Circa Jacket which was also recently featured on arcit.blogspot.co.uk. I will share photos of my Arc once it is put together. I thought this post was log enough already!